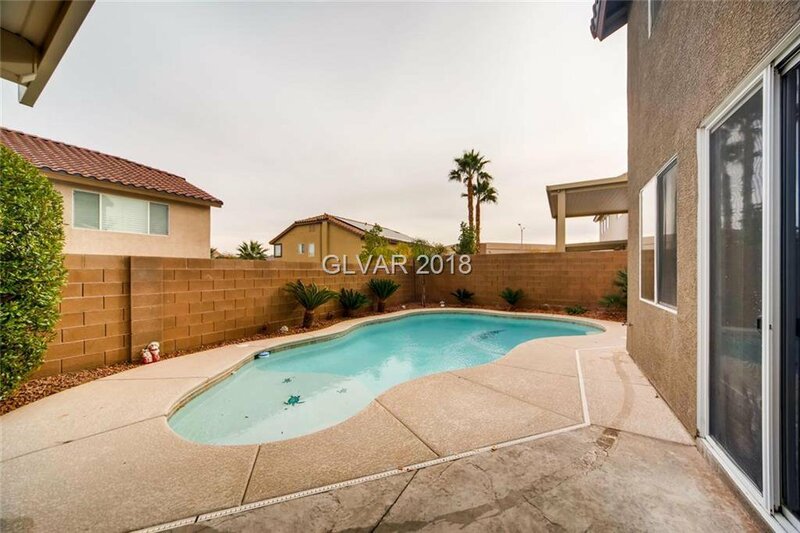 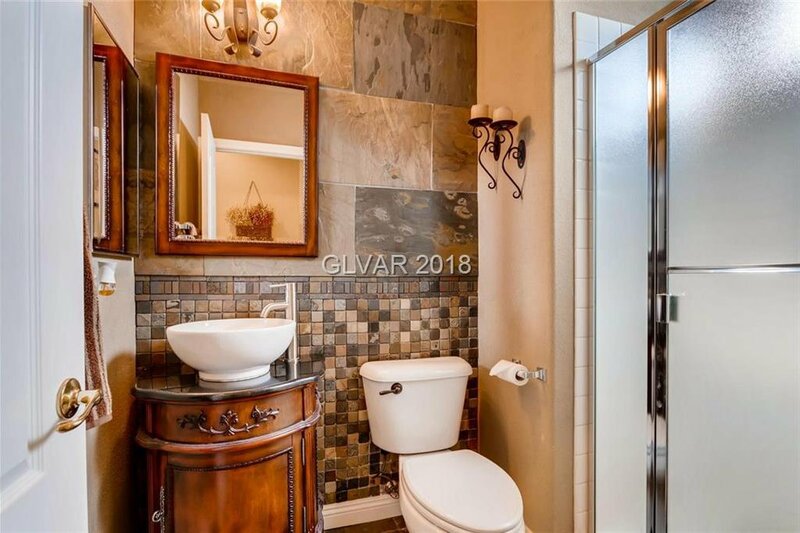 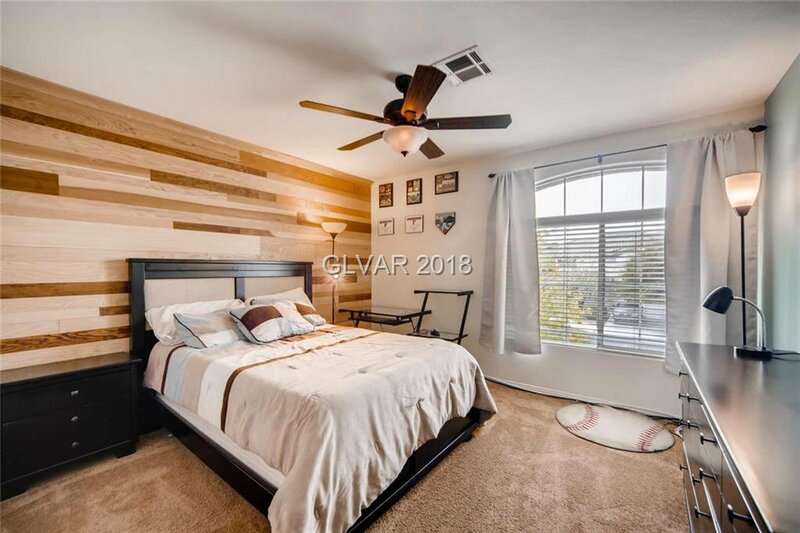 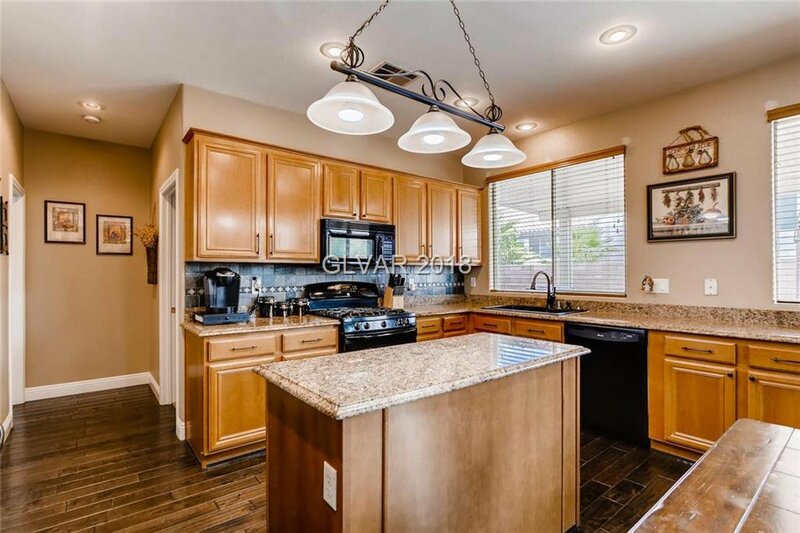 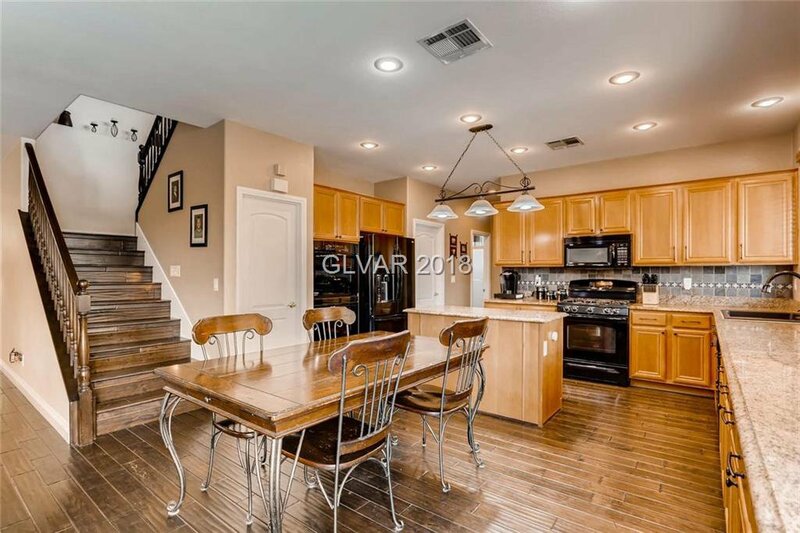 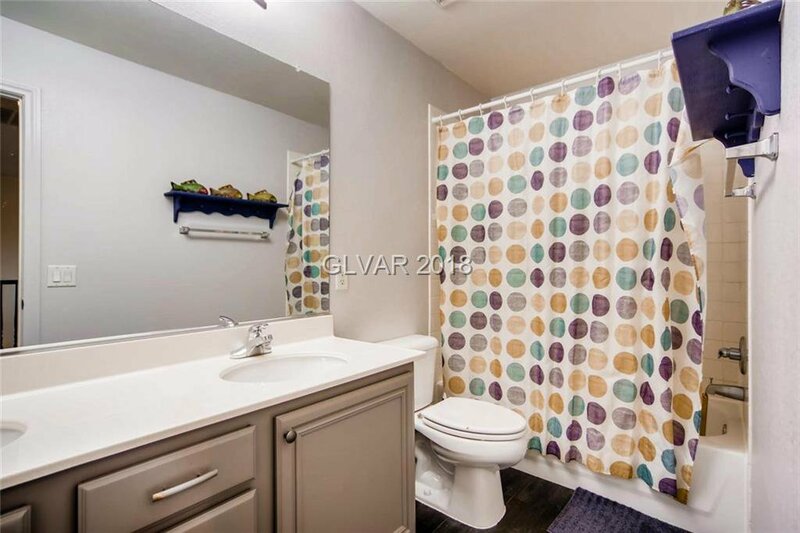 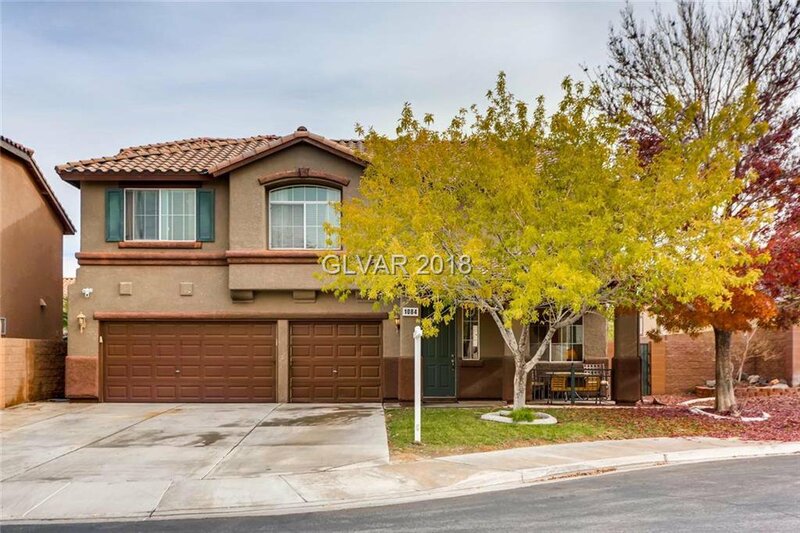 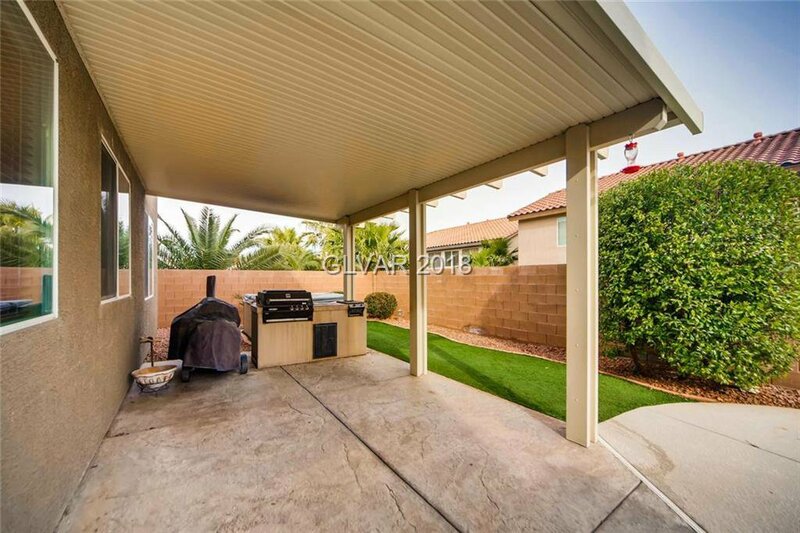 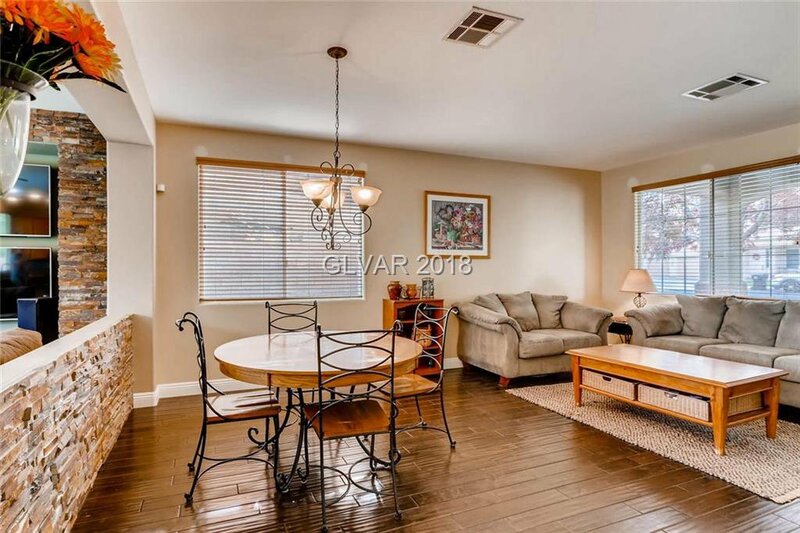 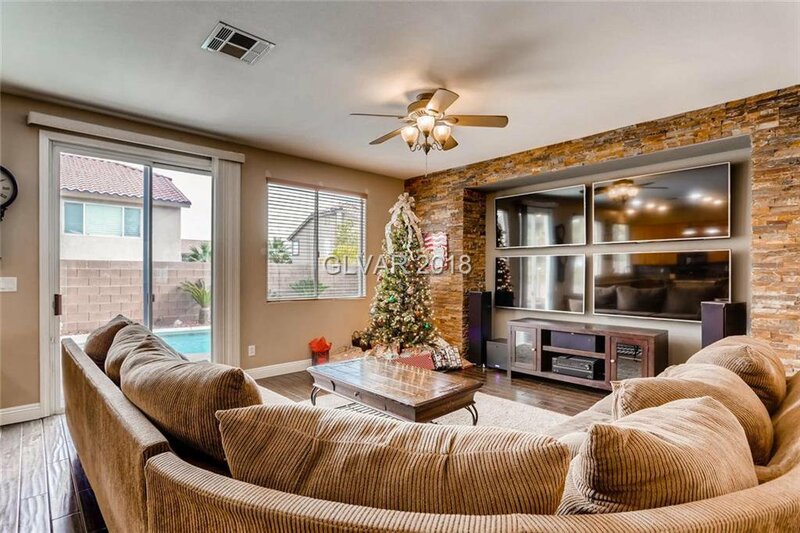 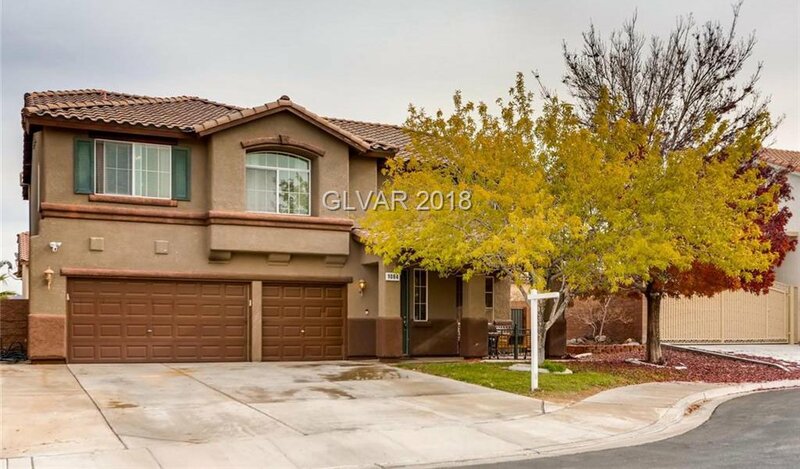 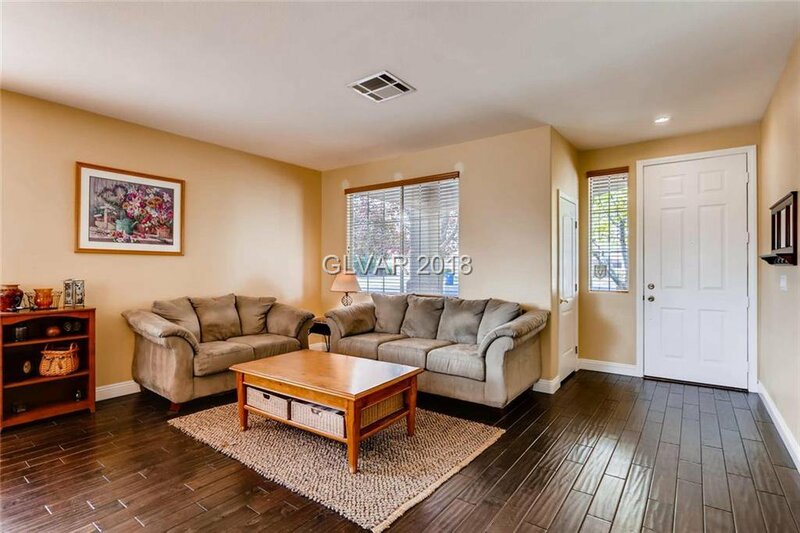 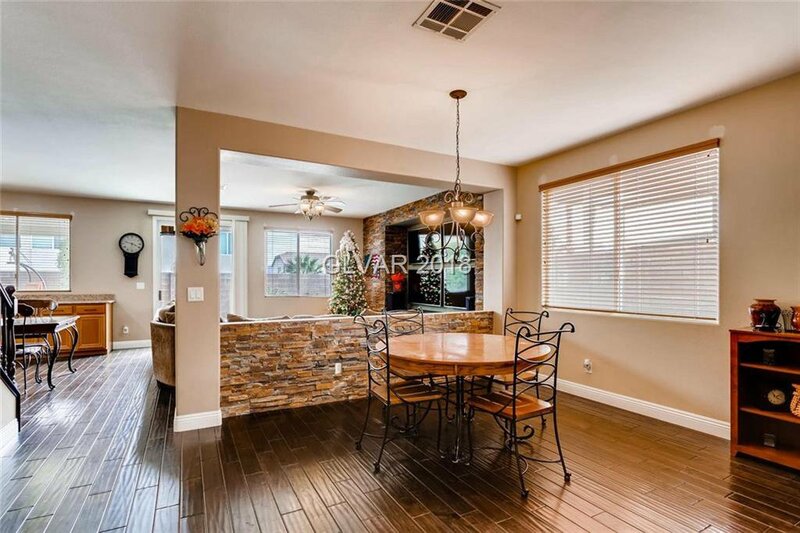 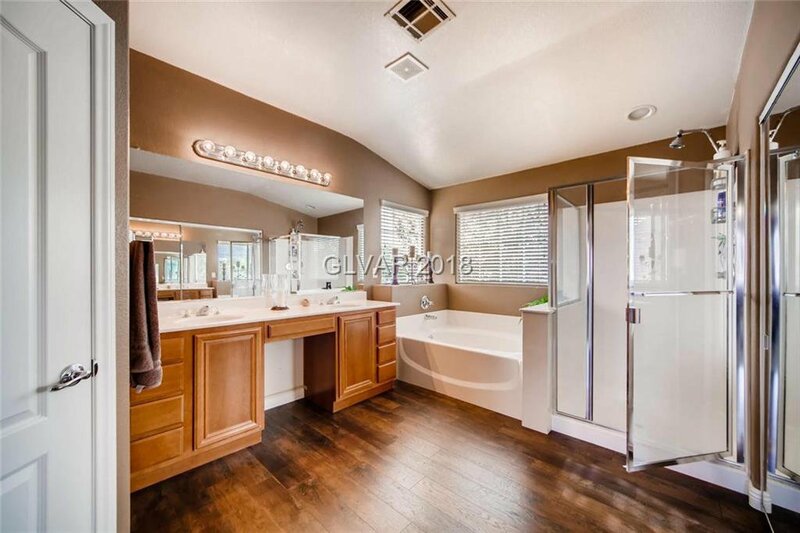 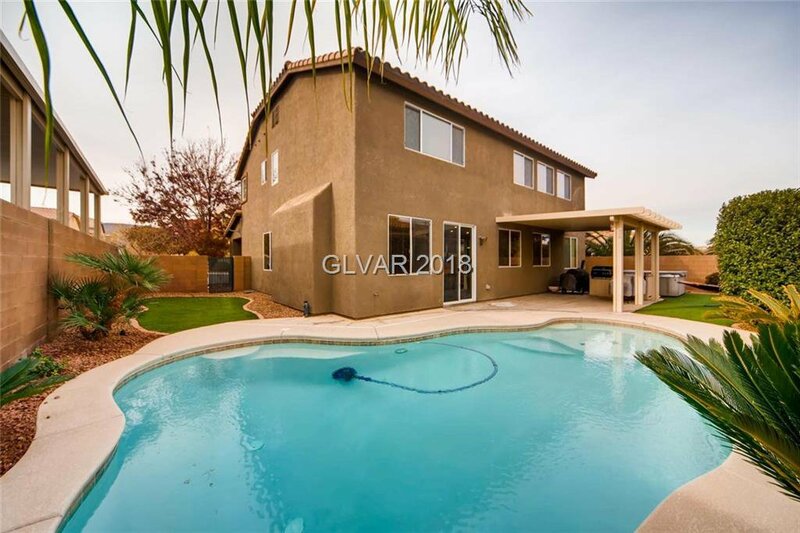 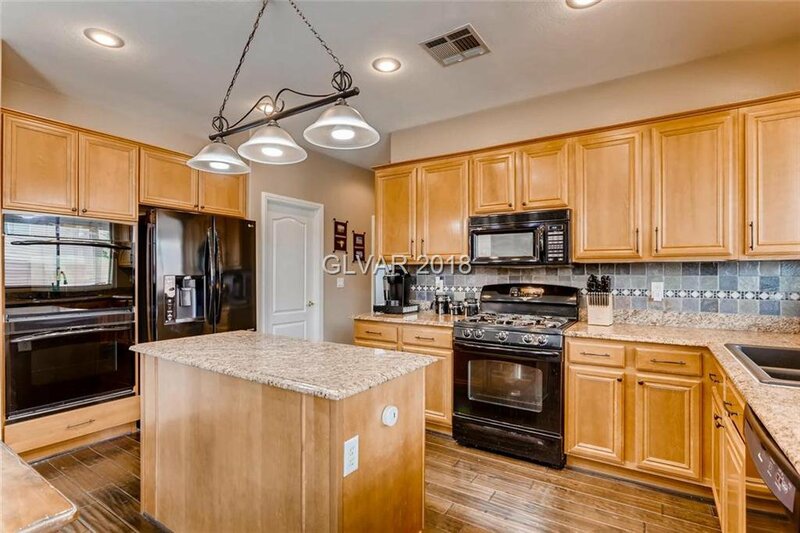 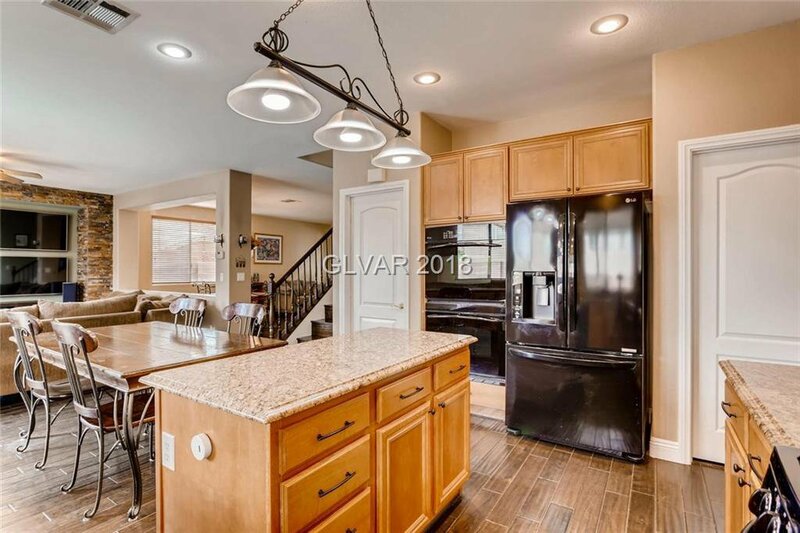 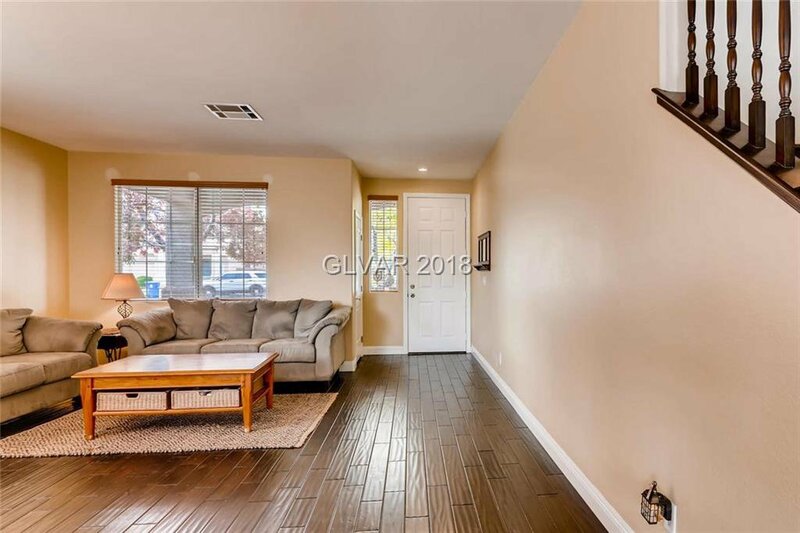 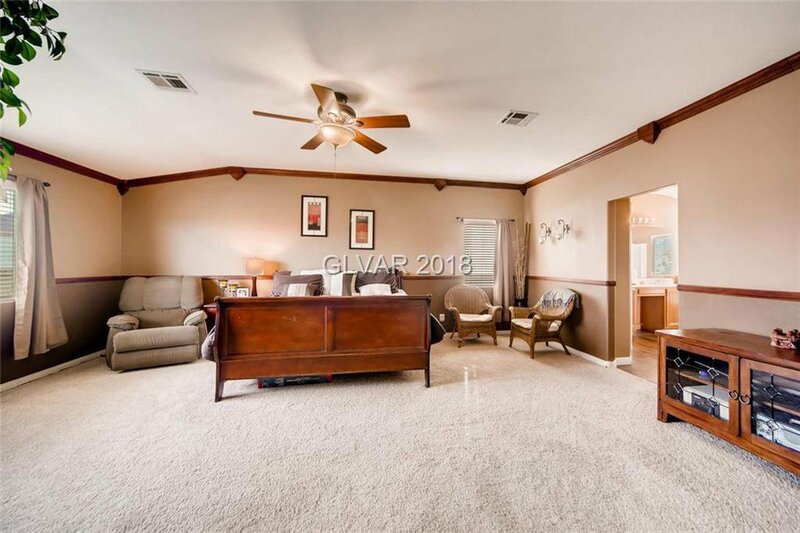 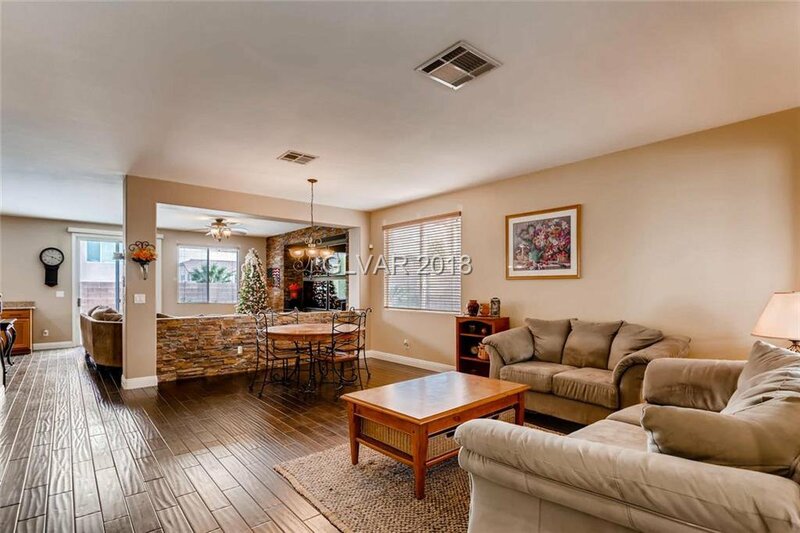 This Henderson home sit on a quiet cul-de-sac and offers 2986 SqFt 4 LARGE Bedrooms 3 Bathrooms (1 bed/bath downstairs), large open kitchen with granite counters, 3 ovens and an island, custom stonework in the living room PLUS the 4 TVs can stay! 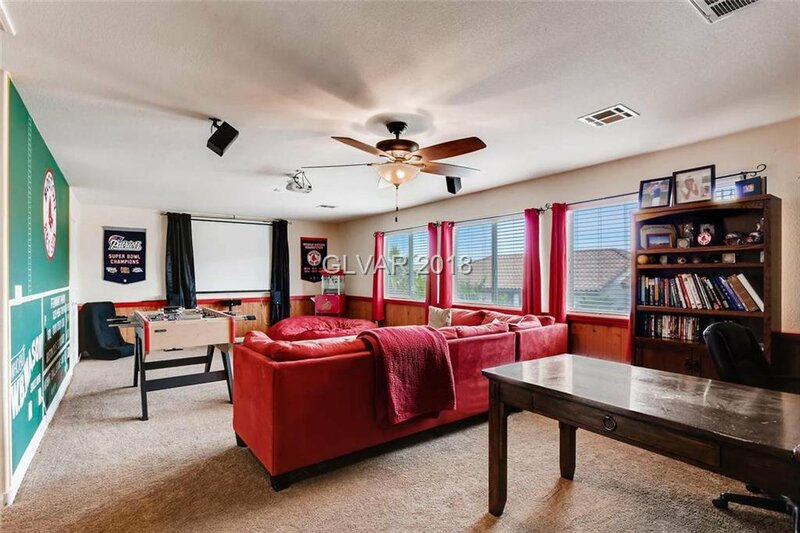 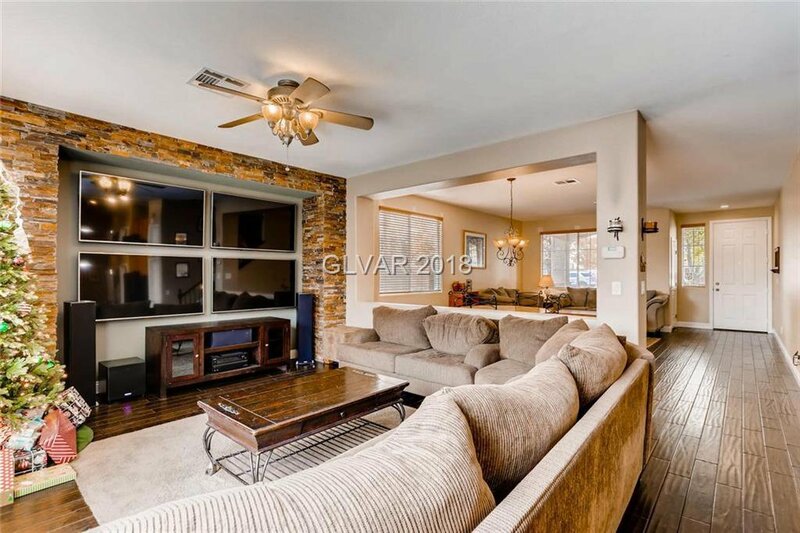 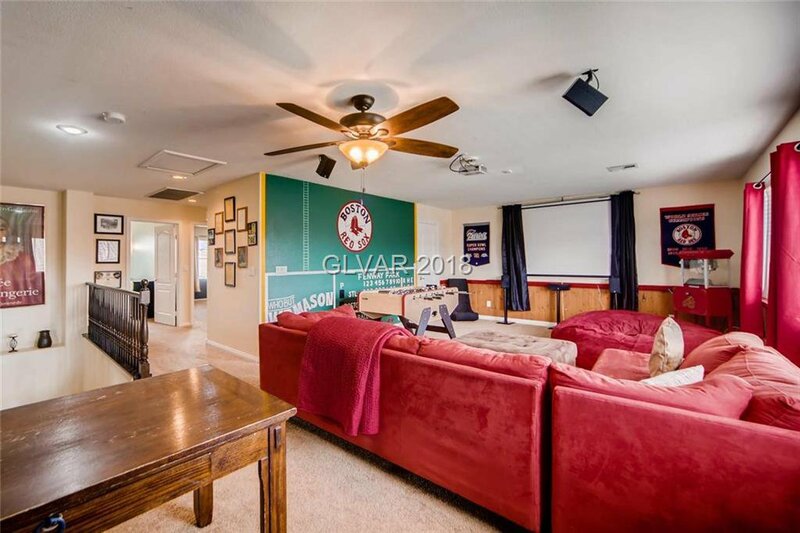 A massive loft with video projector and screen, 3 car garage, inviting swimming pool, separate jacuzzi, covered patio, and synthetic grass. 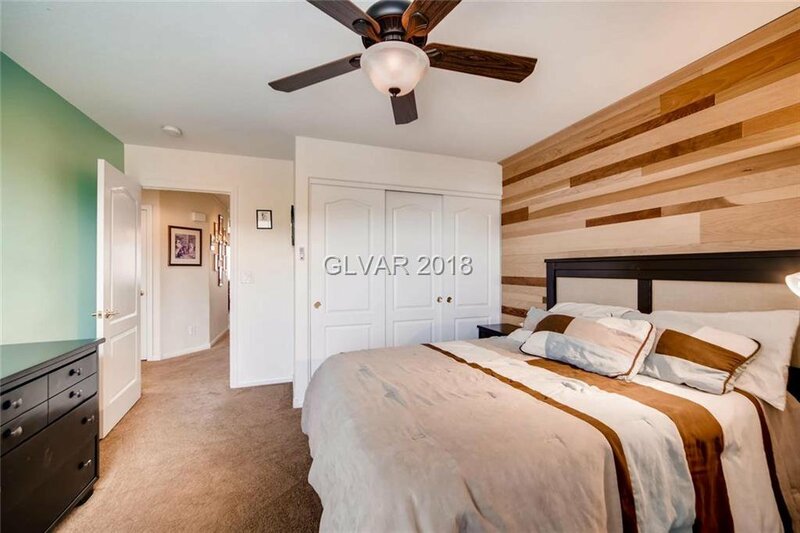 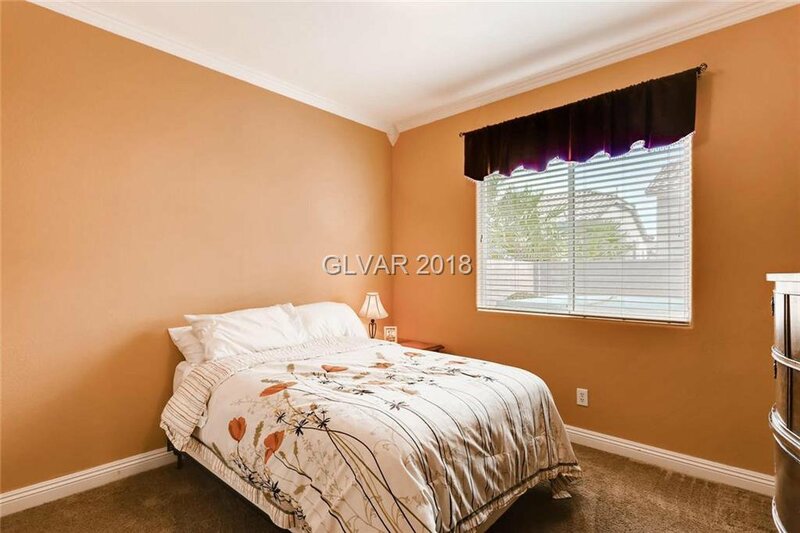 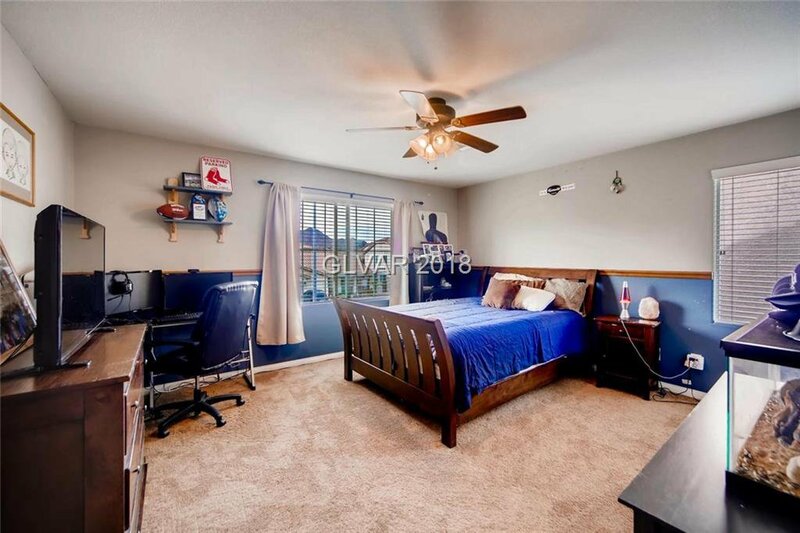 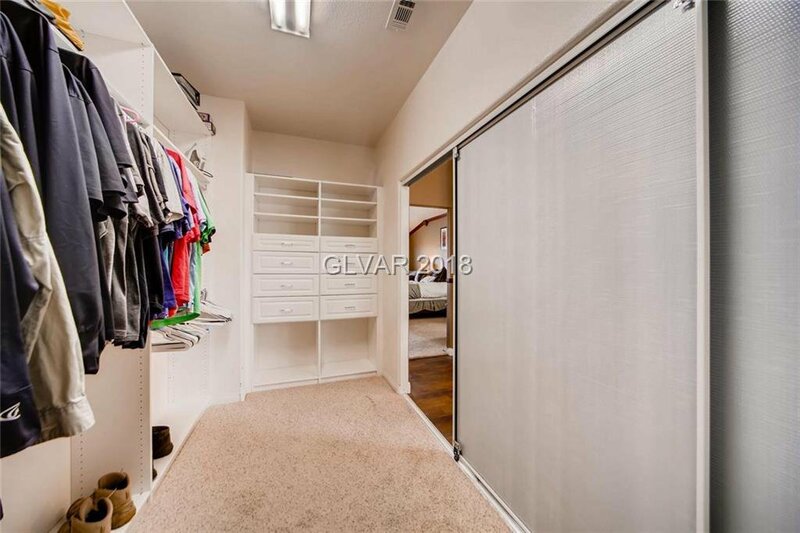 Master bedroom with walk in closet and custom cabinetry.